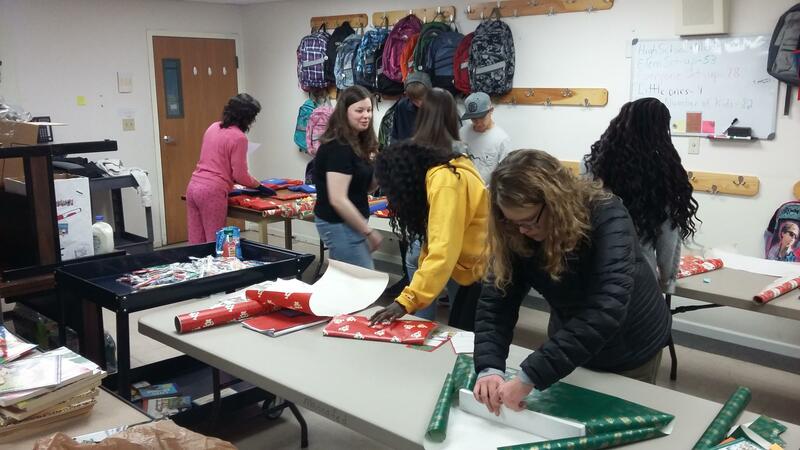 The Action Team of Poland Regional High School assists the community in many ways. They visit with residents of the Veterans' Home in Poland on a regular basis. They also help with the Backpack Program; every two weeks 84 students bring home backpacks full of food. The Action Team also helps publicize the program with posters and discussions with donors. 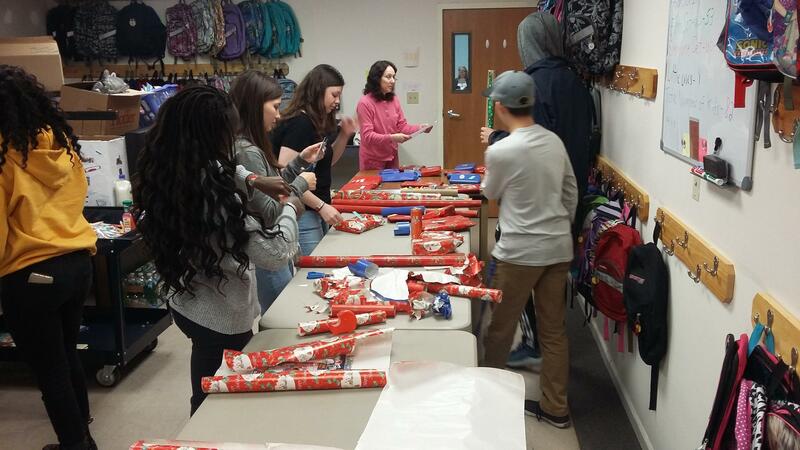 In the photos, members of the Action Team wrap presents included in the upcoming backpack distribution. There are eight members of the Poland Action Team, coordinated by Skip Crosby, Spanish Teacher (and 2015 Maine Foreign Language Teacher of the Year).